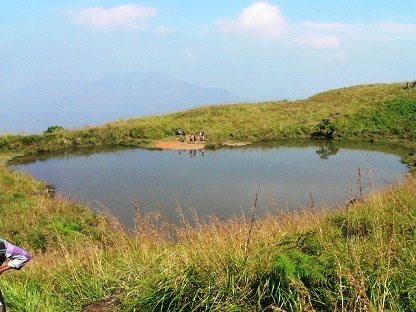 Muthanga Wild Life Sanctuary & Chembra Peak epitomizes what is on offer in Wayanad. The one downside with either attractions is that they are not very accessible. With the Sanctuary, the main feature is a Jeep-Safari, but that is restricted to the first 40 Jeeps (starts at 7AM) in the morning and 20 more (starts at 3PM) in the afternoon. With Chembra Peak, the main issue is that the last 10KM to reach the place is not maintained at all and so it is best to not attempt the drive with cars (four-wheel drives and SUVs are OK). 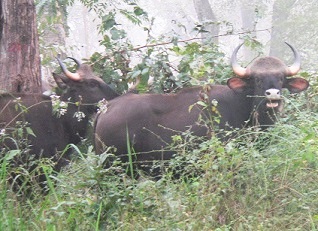 Muthanga Wild Life Sanctuary is around 16KM from Sultan Battery on the Mysore Highway (212). For some reason, Google maps show Thirunelli/Tholpetty Wild Life Sanctuary when searching for Muthanga Wild Life Sanctuary. That is a different one located ~65KM from Sultan Battery, off the route to Coorg - that Sanctuary also has a similar Safari and is a good alternative if you plan to visit the famous Thirunelly Temple. The ticketing process at Muthanga Wild Life Sanctuary is confusing. Tickets are Rs 115 pp (Rs 40 for Camera). we were the first at the gate. 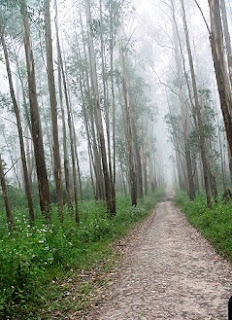 The Safari is around 10KM and it is through a dirt road inside the forest - the ride is bumpy made worse by your sitting position - you are sitting side-on and have to turn around in the seat to look. We got in right after the first Jeep (the first one carried Forest Department special guests) and were lucky enough to see many animals in their natural setting - elephants, bison, red mongoose, deers, feeding vultures, etc - also, a male peacock perched on a very tall tree was a stunning sight. We were dropped back at the hotel by 9AM, in-time for breakfast - overall, a very smooth affair. 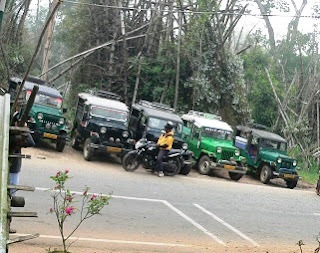 Basically, one has to first get tickets at the Forest Department ticket-counter at the left side of the Safari entry gate and then arrange a Jeep with private parties (unionized) that line the road. The Safari starts at 7AM and since there is a limit of 40-Jeeps for the morning Safari, the earlier you get to the ticket counter, the better. A Jeep can hold four people comfortably and a maximum of six people - excluding the driver and a forest guide that travels with you on every Jeep. The Safari Jeep charges are fairly uniform at Rs 1100. The trick is to try and be the first few Jeeps to get in, once the gates open at 7AM - chances of seeing animals go down dramatically after the first few Jeeps. For Chembra peak, we asked the services of the same guy who took us to Muthanga Wildlife Sanctuary. He offered to take us there and back for Rs 1800 and we went with it. Basically, it is a day-long program and there are no restaurants and such in the area - so, a very late lunch is a given. 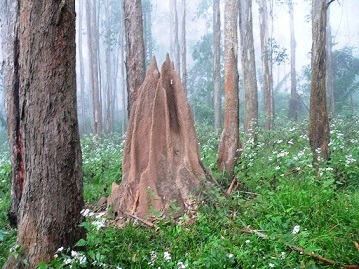 To get there, the turn-off is from Meppadi (about 27KM from Sultan Battery via Kolagappara-Vaduvanchal Road and Manjappara-Karapuzha Road). 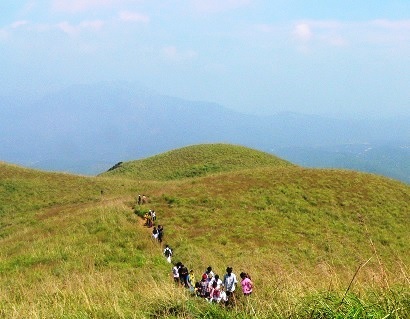 From the turn-off to the Left, it is a few kilometers to the Forest Office on the Left. They collect 750/group for the trek and give a guide (he gets 250 apparently). 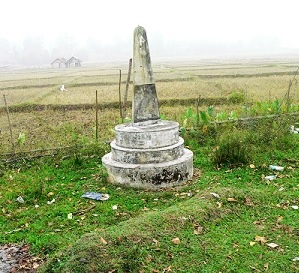 The trekking site is around 7KM from the Forest Office. The last ~5KM of that road is very bad - they don’t restrict anybody but we saw several vehicles turning around. There is a forest department office and a watch-tower at the Start location. It took us around two hours to the heart-shaped lake and back (2.5KM one-way) - the lake area is very pretty and there is a nice view point a little further - both the lake (no swimming and the water is not drinkable) and the viewpoint are good places to hang-out although there are no services at either point - carry plenty of liquids and snacks (as with most tourist spots in Wayanad, it is an eco-friendly zone and all bags are checked for plastics - each one requires a Rs 20 deposit which you get back when you show them after the trek). The original trek was another 7KM that crosses 3 other peaks (currently closed) - apparently someone used a cellphone up there and got burned by lightning, thus resulting in the indefinite closure. They say it might reopen when Neelakurunji blossoms in 2018. 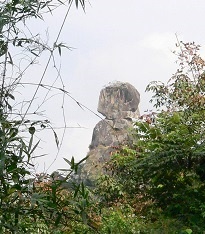 On the way back, a 1KM diversion gets you to Phantom Rock. 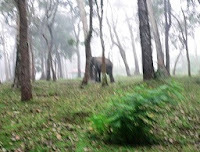 Wayanad - Muthanga Wild Life Sanctuary Safari & Chembra Peak - Review (this post).